Excellent news today of a Blue Cove for 4 consecutive days!! 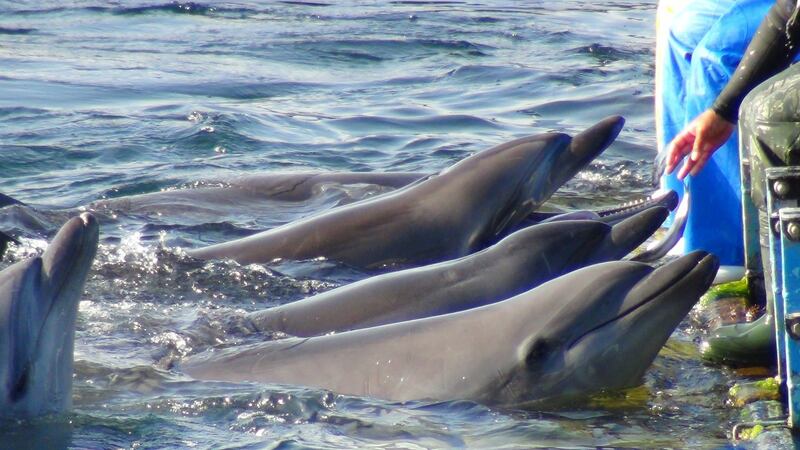 However, before we celebrate let’s not forget about the dolphins being held captive in the Taiji Harbor pens. These dolphins have been ripped from a life with their families, most having just witnessed the majority if not all of their pod being slaughtered within the cove. Now, they are confined to a life of imprisonment and to solely provide entertainment for humans. 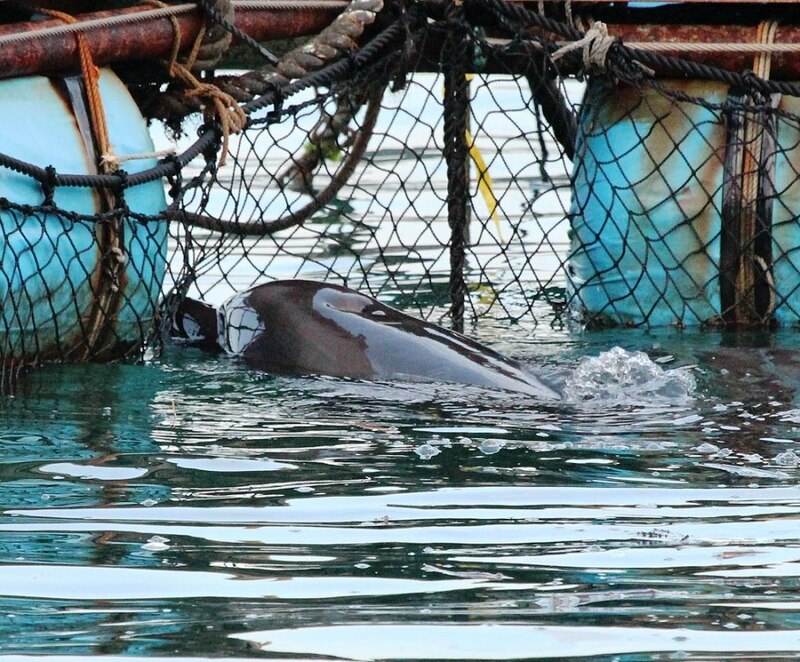 How heartbreaking is to see this dolphin starring out of the nets at the open ocean? Confined to a harbor pen that in reality is probably not much larger than my kitchen! Those dolphins taken into captivity go from having the entire ocean as their daily playground, to spending the rest of their lives in a tiny pen, tank or pool! At first glance it may appear to those who are unfamiliar with this situation that these dolphins are enjoying themselves, having fun, playing, etc. But let me ask you this … do you know why a dolphin goes from starring out of the net of the that tiny pen, to suddenly jumping up and down? Why is it that dolphins in captivity perform the tricks they do? The answer is plain and simple … not because they want to entertain us … because they have to in order to survive and be fed. 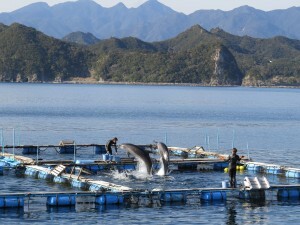 The dolphins held in the Taiji Harbor pens are only fed twice a day and only if they perform for the trainers. Whereas, in the wild an adult dolphin will eat anywhere from 22-50 lbs. of fish per day. I want to share with you a brilliant analogy of the training of a captive dolphin to training your dog to sit or stay. I know that most people would never agree that training a dog this way is any way humane, so why is that some people support a local aquarium or dolphinarium? My belief is that for the most part people are completely unaware of how that dolphin you see at a place like Sea World, was trained, where it came from and how many other dolphins were slaughtered the same day that one dolphin you are watching was ripped from it’s family in the bloody waters of the Cove. While a Blue Cove day in Taiji is always excellent news and 4 consecutive blue cove days even better news, today I will celebrate a Blue Cove while never forgetting the dolphins still imprisoned in the Taiji Harbor Pens.